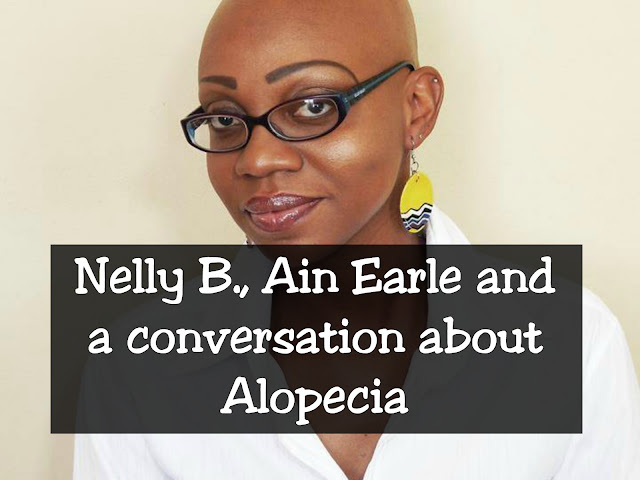 Nelly B., Ain Earle and a conversation about Alopecia - A day in the life of Nelly B. Ain and I crossed paths quite a few times in the past. It was on one of those occasions where my mother commented on her hair (or lack thereof) that she mentioned she had Alopecia. I had always known about Alopecia, but at the time, didn't know anyone who was diagnosed with it. For those of you not familiar, Alopecia is an autoimmune disease, causing hair loss on the scalp, face and sometimes on other areas of the body (you can read more on it here and here). 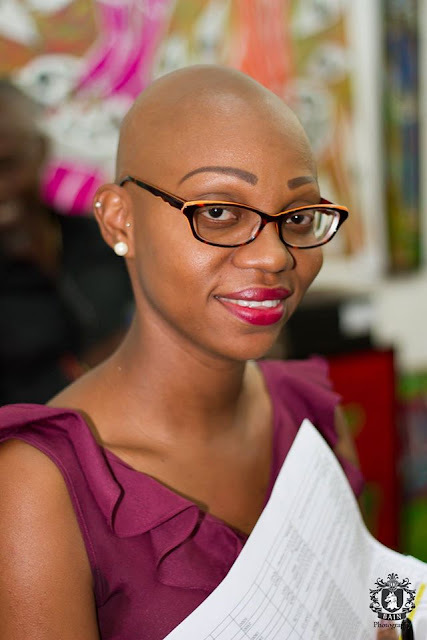 As someone who writes about hair related issues, Alopecia intrigued me. So, when Ain and I crossed paths again at a Women's Retreat last month, I took the opportunity to really chat with her about it, and hear her story. Alopecia Universalis - total hair loss on head and body. How did you wear your hair before it started falling out? I had locs past my waist for 7 years, it started with spots, I eventually had to cut my hair as the weight became a problem, my hairdresser would style my hair in ways to hide the spots before it became too much to hide and I would wear a head tie. What were your emotions going through the process of losing your hair? It was very traumatic, to see your hair just dropping, coming out at the roots, rubbing on your skin and hair coming out, lashes dropping etc. It was stressful! I felt depressed, sad and ashamed. What made you decide to let the hair go and get rid of it all? I didn't really have a choice, after cutting it short I started taking steroid injections to assist with regrowth, this worked for a bit then all of my hair fell off on its own. Did losing your hair affect your love for self? If so, what did you do to regain your self love? At first I was very down, I did not feel comfortable nor beautiful then I realised my hair was not my only nor main beauty, yes it was a part of me and how I may have been recognised or remembered but it was more than that it - was my strength, my smile, my face, my presence that also made me who I am and made me love myself more. Also the support of friends and family was tremendous and played a big part in me regaining my self love, knowing that my circle was always there for me. Any advice to our readers who may be having issues with hair loss of any kind? A little bit more about Ain. Ain Earle - a strong minded, unique and passionate individual. Tourism and hospitality trained and an avid enthusiast of culinary, culture, fashion and event management. 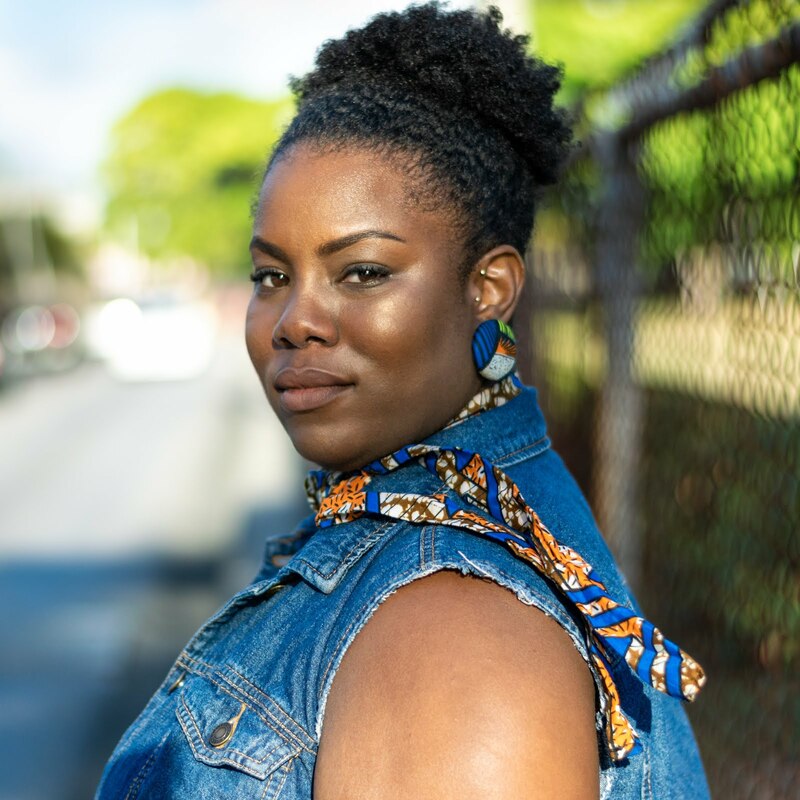 An avid supporter and advocate of Trinidad and Caribbean fashion coupled with her educational background in Tourism and Hospitality Management, she thrives on attaining quality service, awareness and acceptance of local talents and products. Because of this passion and being introduced to the local fashion scene some years ago she always thought that more could be done to raise awareness of and respect for the designers around her. Hence she and two other colleagues started Racked – The Fashion Market, an inclusive shopping experience, exposing fashion and accessories designers and their unique, quality products, all 100% designed and made right here in Trinidad & Tobago, or by a Trinbagonian living abroad. This event has solidified her interest in assisting designers and creatives with producing new experiences for networking with clients and buyers and guaranteeing that there is continued brand profitability through her committed service hence starting her current company, The Fashion Arch. 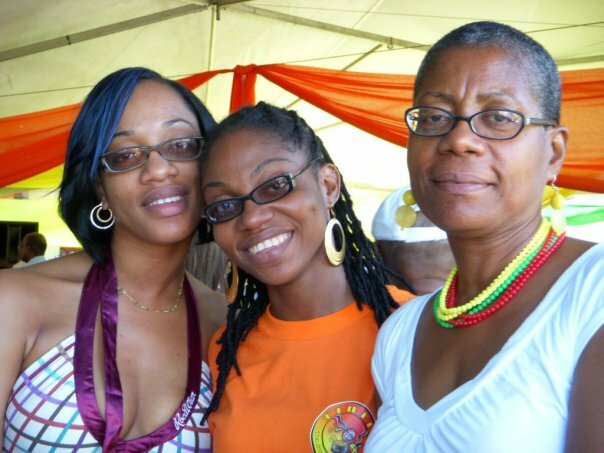 She has served on the board of the Fashion Association of Trinidad and Tobago as well as the Caribbean Fashion Arts Feature Festival. Ain, thank you so much for sharing your story, and for being an inspiration to others who may be going through a similar hair loss experience. To know more about what Ain does in the world of fashion, check her website www.thefashionarch.com or follow her on Facebook and Instagram.